Can Public Companies REALLY become Benefit Corporations? While 21st century corporations serve the purpose of profit maximization, this was not always their sole function. In the 19th century, corporations served the public, not solely the pocket. Benefit Corporations (B Corps) are a response to the increasingly polarized world of business in which money is made on one side of the spectrum and social and environmental conservation and awareness is on the other. B Corps demonstrate that there doesn’t need to be such a dichotomy. B Corp legislation, which has been signed into law in California, Hawaii, Maryland, New Jersey, New York, Vermont and Virginia, gives protection to corporations who actively endorse sustainability on all levels. As the 2012 annual report of B Lab, the non-profit that certifies B Corps, states, “Business, the most powerful man-made force on the planet, must create value for society, not just for shareholders. 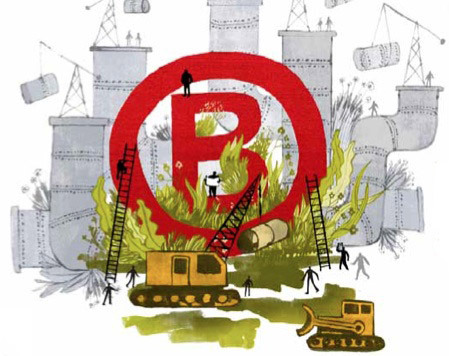 Systemic challenges require systemic solutions and the B Corporation movement offers a concrete, positive, market-based, and scalable systemic solution.” B Corp legislation encourages companies to get back on the public benefit ship, one that has deviated from its historic course. B Lab, in certification, offers a path to social benefit citizenship. B Corp legislation was introduced just four years ago but B Lab has already certified 533 companies nationally. However, the majority of those are small scale businesses and, as of yet, there are no public B Corporations. Patagonia is one of the biggest B Corps and demonstrates that companies of great size CAN become certified. But, as we can see, there are not that many companies that are willing to sacrifice profit for a social and environmental good. Thus, the biggest challenge seems to be getting people to care, which in turn forces businesses to have to care. However, this involves a norm shift that will take years. Andrew Greenblatt, assistant at the B Lab New York city office, remarks on the time frame needed to B Corps to be the accepted norm: “It’s going to take time for that to get organized, but 10 to 20 years from now this will be the standard way of doing business. And if you’re not a benefit corporation people are going to ask why not.” We can see this slow change in standards through the increase in demand for organic food, the drop in price in solar panels, among other products. Image Power GreenBrands even found that 72% of Americans believe it is important to “buy from green companies.” Still, this norm shift has not ventured out much from the (reasonably) stable economic hubs like the Bay Area, Portland, New York city, Chicago etc. We will not see widespread systematic changes in business until the understood role of the economy moves to encompass long term benefit, not just short term return. All B Lab certified companies will be awarded this insignia. Now, I am always on the look out for this mark! One aspect of certification and legislation that had not been clear, until meeting with the San Francisco B Lab office, is that a company can become B Lab certified WITHOUT becoming a legal Benefit Corporation. In essence, a company in Kenya, or Lebanon or Kentucky could be assessed upon B Lab criteria and awarded certification. B Lab certification is a global insignia that indicates a company’s social and environmental integrity. Therefore, certified B Lab public companies do NOT have to worry about a potential lawsuit from a stakeholder (on the premise that the corporation isn’t doing enough for the general public good, as is the case if they are legally a B Corp). However, public companies could still face scrutiny from stakeholders if profit is lower due to meeting B Lab criteria. 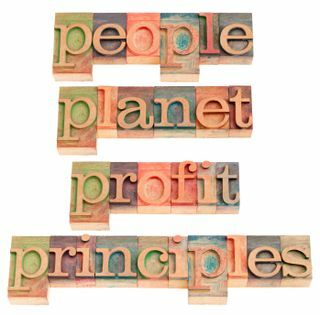 Business, ethics, life is in constant search for a balanced homeostatic environment and public companies vying for certification and B Corp status are those whose vital pull is toward sustainability. Public companies wanting to become B Corps, not just B Lab certified, are waiting to see how the law will play out if a disgruntled shareholder does sue on the basis of the premises mentioned above. Once there is case law, public companies will feel protected from such actions and more willing to adopt the revolutionary new B Corp bylaws. Adelante! On a personal note, I visited with B Lab at The Hub in San Francisco and was so impressed by their knowledge and understanding of all the complexities which go along with becoming a publically traded B Corp. They were not at all pushy in trying to “sell” their product—B Lab certification—and their attitude really made me want to go on a sort of B Lab crusade and encourage others to at least take the FREE self assessment on their website and see if your company is really doing everything for a global benefit! I truly believe that B Lab non-profit, and those that become certified, are going to change the pH of the whole world of business! ← Do You Have Enough Freedom? As a social entrepreneur who wants to go public, I find B Corp Certification appealing especially in a time when people are giving millions on crowd funding websites with no expectation of a share in the company. Having a B Certification and going public are sure to attract these same people, and help redirect private investment toward common goods. But the reality is this – publicly traded B Corps will need to make real and substantial investment in areas outside of their expertise in order to become and remain a competitive investment alternative.